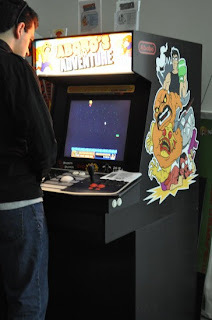 The game runs on an old laptop & uses a separate flat screen monitor for the screen, it was originally going to be displayed on an old 24" CRT computer monitor for a more authentic arcade feel, but that thing was too big to lug around. 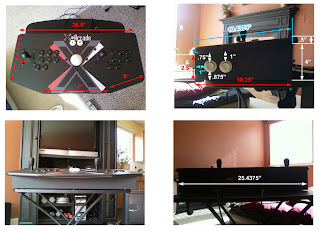 The flat screen ships well & looks just fine. 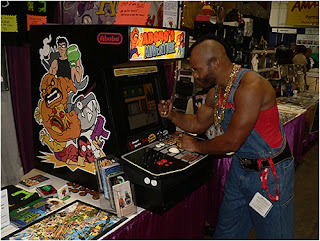 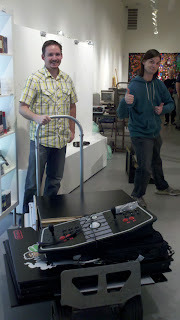 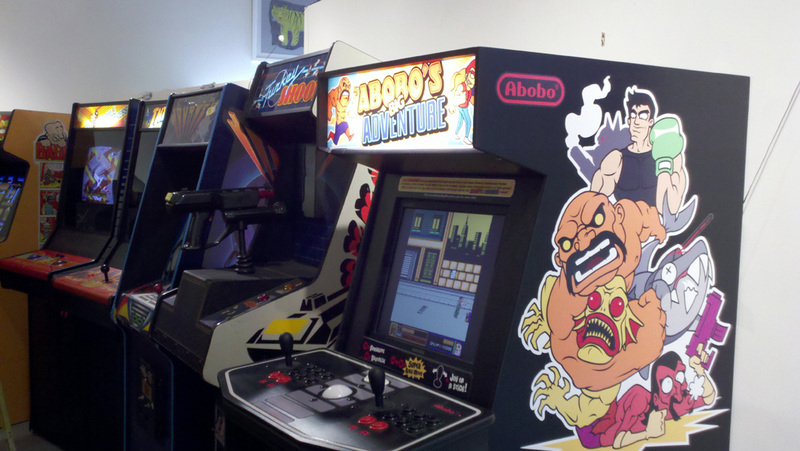 This pic is us wheeling it into a recent classic arcade gaming party in LA. All the other arcades arrived in truck beds and rented trailers. The joystick controller is made by a company called X-arcade.